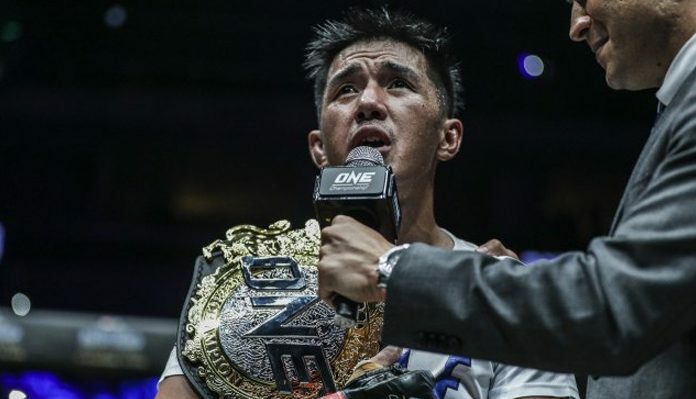 Geje Eustaquio had his hands full in his defense of the ONE Flyweight World Championship against Brazilian arch-nemesis Adriano “Mikinho” Moraes in a rubber match at ONE: Hero’s Ascent last January. Although he fell short in keeping the belt around his waist versus Moraes, he never had to look far to find a motivation to pick himself up. The celebrated Team Lakay member is being fueled by his four-year-old son Castiel Achilles Gerard Eustaquio, or ‘Cage’ for short. “He is my ultimate golden strap. He means the world to me,” Eustaquio said. According to Geje Eustaquio, Cage gives him an extra jolt of energy that has helped him get through some rough days. “Every time I see my son, I feel so refreshed. He gives me joy inside my heart that can’t be bought. He can’t be replaced in my life,” he stated. Eustaquio cherishes every moment he shares with his son as it is something that he did not have while growing up. His father moved to South Korea, sacrificing quality time with his family in order to better provide for their future. “My dad and I didn’t bond so much when I was a kid. That’s why I am taking every chance this time with him,” Eustaquio said. However, Eustaquio admitted that their usual father-and-son bonding ever were lessen ever since winning the ONE Flyweight World Title last year. “When I became a World Champion, I had to divide my time. I have to spend four hours in the gym,” he bared. The 29-year-old Baguio City native makes it a point to explain his absence, especially when he has an upcoming bout. “I always tell him that I am doing this for him. I fight now, so he does not need to fight in the future, in order to have a better life,” he shared. While most combat sports athletes would wish that their kids rather not follow in their footsteps, Eustaquio believes otherwise. It would give “Gravity” nothing but joy to see his little boy to become a martial artist as well. “If he loves martial arts, I will be the happiest father in the world,” he declared. 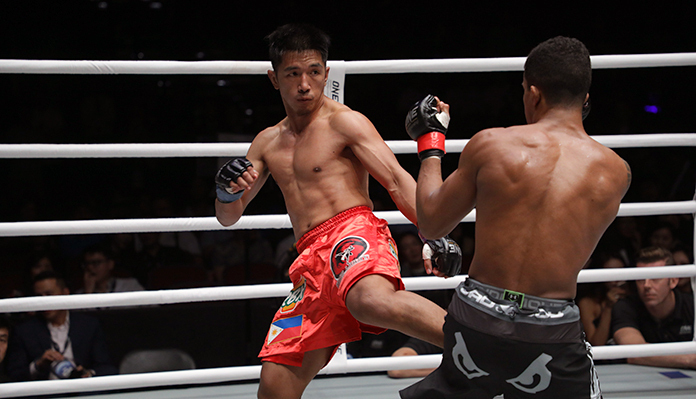 If Cage decides to take a different path, Geje Eustaquio assures that his support will still be there for his son. “It does not matter if he chooses basketball or soccer, my support will still be a hundred percent,” he guaranteed. Losing the ONE Flyweight World Championship was already a bitter pill to swallow, but failing to bring home the gold-plated strap to his son was more difficult for Geje Eustaquio. “There was a little kid waiting for me to come home after the fight with the title. I just told my son that it’s part of the sport,” he disclosed. To say that the defeat was an affliction would be an understatement, but Eustaquio is willing to go back to the drawing board to once again shoot for his lost World Title. “I’ve been through this before. It’s time to get back to the drawing board,” he vowed. This article first appeared on BJPENN.COM on 2/6/2019.